Ground-breaking tech has changed how we game, how we perceive games and has even boosted the reputation of the industry – making it something to be respected and awarded in the mainstream media. All industries have been touched by advancing tech in some way – from retailers with contactless payments to travel and the ability to book everything from flights to excursions online – but none more so than gaming. From the first Pong game to the world of VR – where you can become fully immersed in a whole new world - the gaming industry has been revolutionised by ground-breaking technology. But VR isn’t the only revolutionary change – the ability to play online and mobile is one of the biggest impacts tech has had on the gaming industry. Here, we’ve taken a look at some of the most ground-breaking tech and how this has changed the face of gaming in the past 10 years. You can play anywhere, any time on any mobile device and this innovative tech has changed the gaming industry radically. 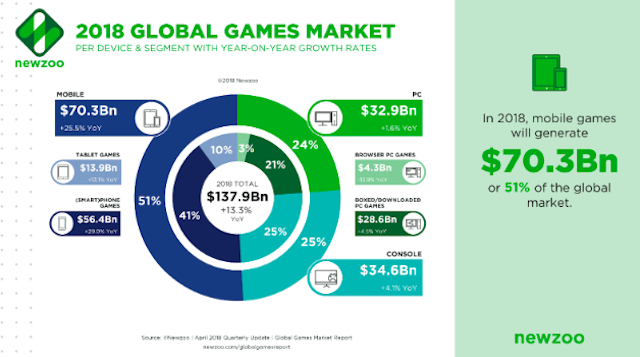 While consoles and PCs once reigned supreme, mobile gaming now takes home over half of the global revenue (51%). Console and PC each contribute around 25% each. This proves that this ground-breaking technology has adapted how we play, allowing us to go truly mobile while high-quality visuals and audio make the whole experience a truly immersive one. Mobile games no longer consist of the basic sliding gems and platform style formats. FPS and even RPGs are common now on a small screen, with bigger developers spotting the increase in mobile gamers and in turn creating apps to support larger titles. We’ve come a long way since the days of Snake II on the Nokia 3310. Mobile gaming has been allowed to progress as smartphones and portable devices themselves become more powerful. In 10 years, for example, the iPhone has developed into a mini computer in our pocket allowing us to do the basics as well as shop online, game and even record slow motion video. The processor alone has increased to nearly four times its original size – from 412MHz to a whopping 2.39GHz – letting us play more advanced games than ever before. Looking at these specs, it’s no wonder then that games look so good on the latest Apple model. The Internet has had a profound effect on everything we do. How we socialise, manage our time and entertain ourselves is effected by it in some way and gaming is no different. Battle Royale style games have proved popular for some time now but in the past 10 years collaborative multiplayer concepts have really taken off. It’s always been there, with games such as WoW in the late 90s, but recent titles such as Destiny 2 and Overwatch prove that developers see this type of gameplay as a main focus alongside story-based concepts. Players simply join a live server, choose their character type and battle it out in real time, making gaming a social and fun concept. Live online games are also a popular choice for those who enjoy a spin on the roulette table, as live bingo and casino games can be enjoyed by players around the world in real time. With the closure of bricks-and-mortar bingo halls and betting shops, the ability to enjoy the same thrill of a live bingo game online only boosts its popularity. Live games feel like the real thing and even the likes of slot games take advantage of a development in graphics and audio to create that realistic experience. Slot games in particular have become so popular that some online gambling operators are specialising in them – offering gamers an abundance of options that cover every niche going. While you might have assumed these games would be basic in nature, think again. Check out the Rose Slots range of online slots and you might be surprised how far they’ve come on and how engaging they’ve become. In the future, we could even see virtual live games that let you walk through a casino and choose a table using VR tech to immerse people without them having to step foot out their door. For story-based gameplay, photo realistic graphics capture the imagination of gamers – making newer titles feel like true cinematic experiences. Cut scenes now feature famous actors, having them act out scenes and editing this later to reflect the game’s mood and graphics. Actors are filmed on a motion capture set and have full facial scans to create a true photo realistic likeness of them on the screen. Markers are placed on specific positions on the actor’s face and body, and the tech picks this up as they move and make facial expressions. Sets are created to reflect the scene, with ramps and basic props to use and the detail is created by designers later. Ninja Theory’s Hellblade: Senua’s Sacrifice title took the win in 2017 for some of the most true-to-life scenes created in a game, as they used motion capture to feature actress Melina Juergens’ facial expressions and movements. She even won a Bafta for her performance. 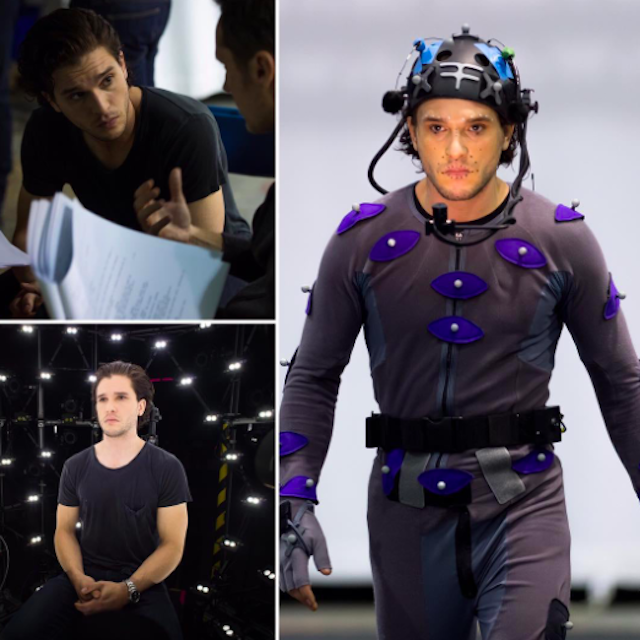 Sony’s Beyond: Two Souls also featured stars Ellen Page and Willem Defoe and Game of Thrones star Kit Harington took up the role of the SetDef admiral in COD: Infinite Warfare, with Guy Ritchie directing his scenes. While photo realism doesn’t always translate into the actual gameplay – as fluid movement and actions require slightly lower graphics to look realistic – it does make any cut scenes in games in the past 10 years all the more brilliant to watch. Streaming is common for many of us, with Netflix and Amazon Prime now our first port of call when it comes to watching our favourite shows, but cloud based gaming is now available. This tech will soon change the way PC gamers access and enjoy their favourite titles. With cloud gaming, you can stream the latest release online from your devices and play without any lag or delays. There is an initial outlay, to build your cloud based gaming PC, but once it’s up and running you simply access everything via the cloud. The idea is that your advanced PC sits at home ready for those long evenings with a mouse or controller but you can also send the games you want to play to other devices to play on the go. This means an advanced game such as The Witcher 3: Wild Hunt could still be played at 60fps on your smartphone or a tablet on the train if you have a good internet connection. It’s a new breed of gaming on the go. Cloud based gaming was predicted to grow at a rate of 33.7% between 2015-2020. However, in 2018, it’s still a relatively new concept and hasn’t yet been taken on by the mainstream audience but start up Blade’s Shadow cloud gaming service was soft-launched earlier this year in the States with a good reception. Finally, we couldn’t discuss technology in games from the past 10 years and not touch upon virtual reality. 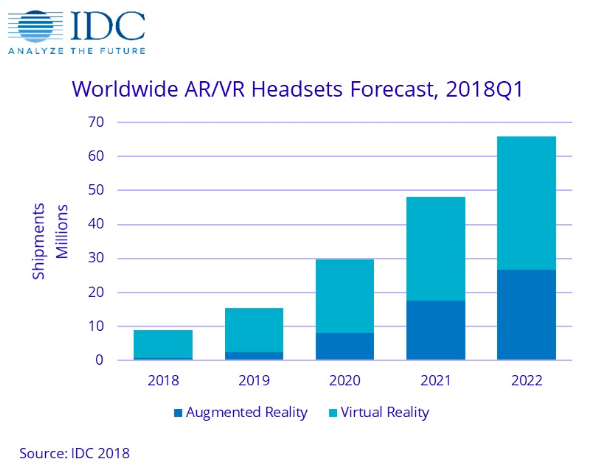 While we’re not quite at Ready Player One levels and the concept is definitely not as mainstream as developers perhaps initially hoped, as the tech progresses – and the prices for VR systems drop – we could see it being adopted by more gamers. Developers have dabbled in virtual reality since the 90s – SEGA attempted to release VR glasses way back in 1993 and Nintendo later in 1995. In 2012, the Oculus Rift was released after a $2.5 million Kickstarter then Valve then stepped in and backed the HTC Vive headset. Sony, Samsung and Lenovo have all since created VR tech to support games. VR isn’t a gimmick anymore, as the tech is developed and more games are offered to support these systems then sales should peak again after a slight lull in recent years. Sales made a poor start in 2018, down 30.5% YOY but are forecasted to improve again by 2020. Ground-breaking tech has changed how we game, how we perceive games and has even boosted the reputation of the industry – making it something to be respected and awarded in the mainstream media. In the future, we should witness further advancements in motion capture and photo-realism, mobile gaming that carries across multiple devices and virtual reality that truly captures the imagination.